What do you see first? The answer will tell you the very best aspects of your personality. Ready to see what your best traits are? Let’s find out how your interpretation of the world influences your inner-self. Take a look at these pictures to learn something about yourself you might not have known before. 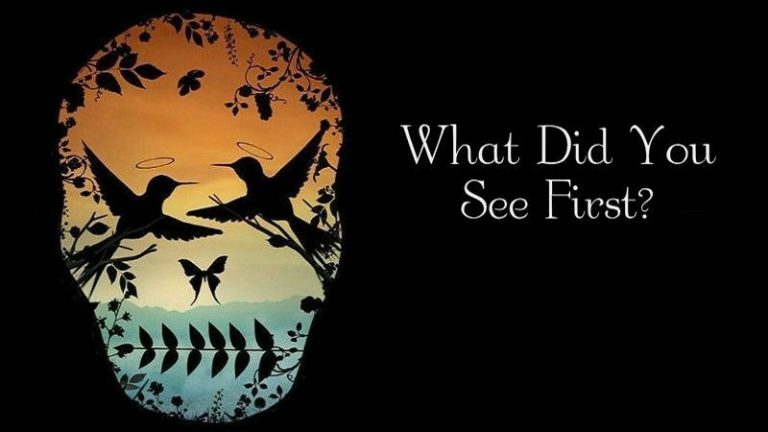 The first thing you see in this picture will reveal the truth about who you really are! Remember, it’s not to be taken too seriously, but it can shine some light onto your personality. You have a mysterious charm and a keen artistic eye. Also, you are known for your great observation skills. You like to take in and appreciate everything around you, and you take note of the little things. You are considered kind and have a witty sense of humour. However, you are might have too much pride, and can be wishy-washy when it comes to making decisions. You have a unique personality and you always make quick and clear decisions. You are also great at solving problems- for yourself and your friends. Everyone comes to you with their troubles, and your unique perspective always gives wonderful advice. However, you can sometimes be overly-strict with people you consider to be “difficult.” Learning patience and empathy will help with this. You have excellent learning and analytical skills. Others see you as a smart and organized person. You are good at keeping your thoughts on track, and separating your mind from your heart. You like to manage your own way- systematically and analytically. However, you tend to be a perfectionist whose biggest fear is making a mistake. Relax, and try not to be so hard on yourself. You have great observations skills are an excellent communicator, whether you realize it or not. You are the mediator between friends when one is needed. Everyone loves you because you are a warm-hearted person who gives all of yourself, all of the time. However, you need to remember to take time for yourself and focus some of that attention inward as well.